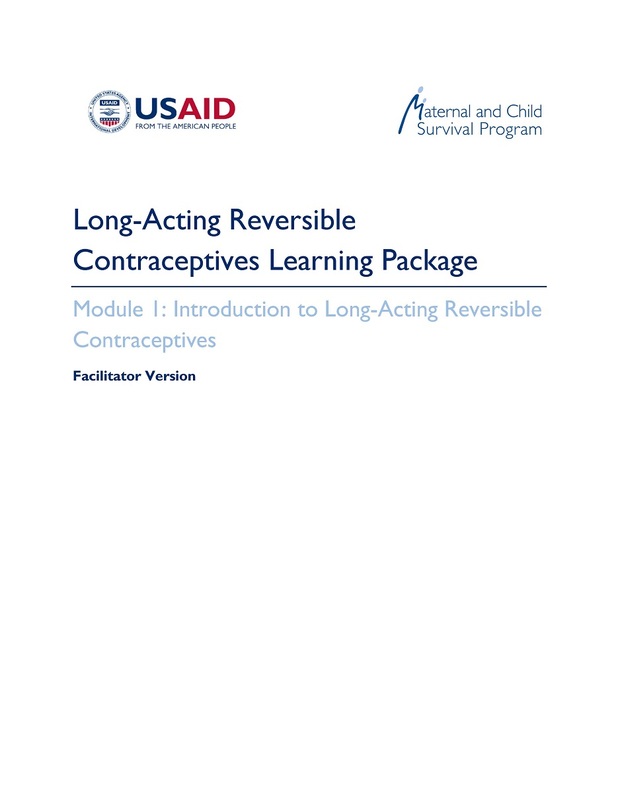 The purpose of this learning resource package is to provide trainers, facilitators and program staff with a comprehensive resource for high-quality long-acting reversible contraception (LARC) services using a modular, facility-based approach for training, capacity building and mentorship. The integrated learning package consists of an implementation guide and ten modules, including counseling, infection prevention, quality of care and information on both hormonal and non-hormonal (the Copper T 380A) intrauterine devices and contraceptive implants (single and two-rod). The modules are designed for use in a variety of situations including interval, post-partum and post-abortion periods and should be implemented at the facility level using a modular training approach.